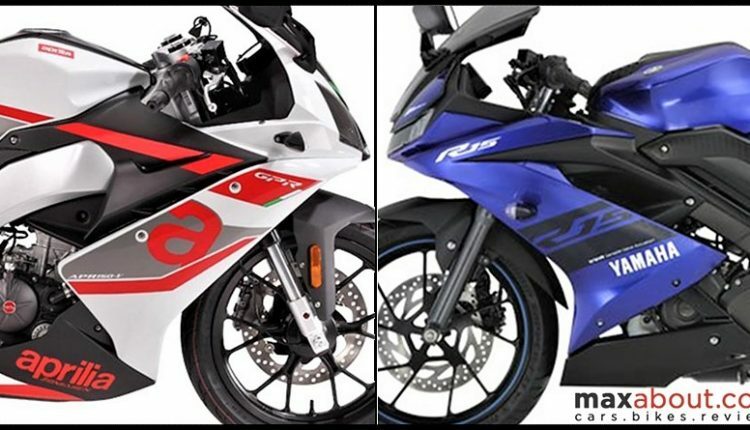 Aprilia GPR 150 vs Yamaha R15 V3 (Quick Comparison): The upcoming Aprilia GPR 150 (RS 150) is a direct rival to the Yamaha R15 V3 ABS. The lightweight motorcycle was seen for the first time in the production-ready guise at a dealer meeting in India, hinting at a launch event somewhere in the coming months. The new GPR 150 comes with 18 HP of claimed power output and weighs lighter in comparison to the R15 V3. On the other hand, Yamaha will have a clear benefit of an extensive dealership network whereas Piaggio group has more presence in the South Indian states. Aprilia GPR 150 features USD forks and thus, pricing will stay premium in comparison to the R15 V3. 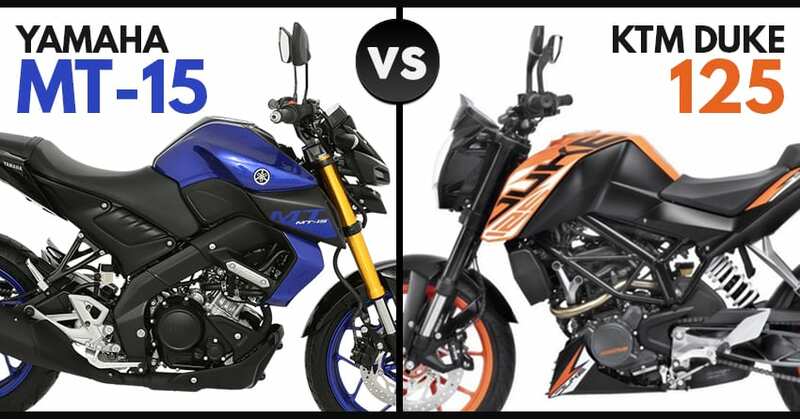 The expected price gap between both the models will stay around INR 10,000. 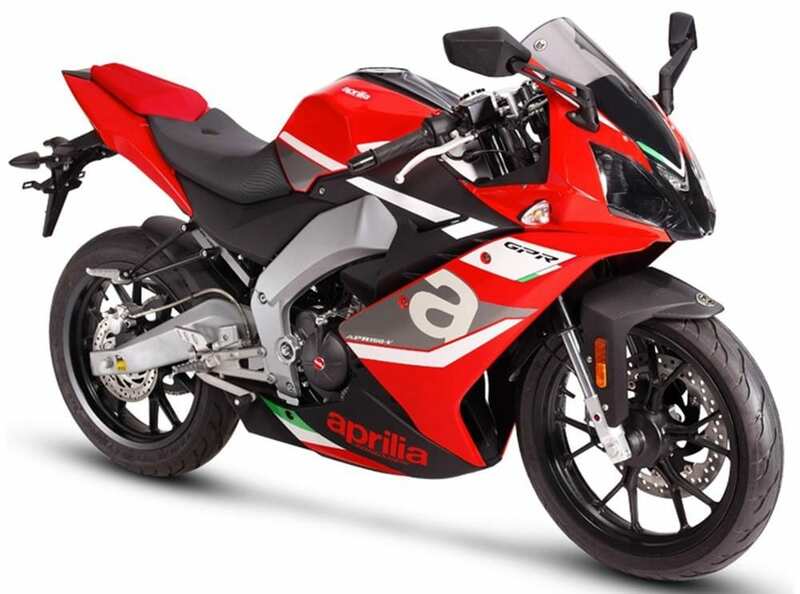 Aprilia is using the China-based design for the Indian market, leaving behind the popular RS 125-inspired design that is on sale in the European countries. 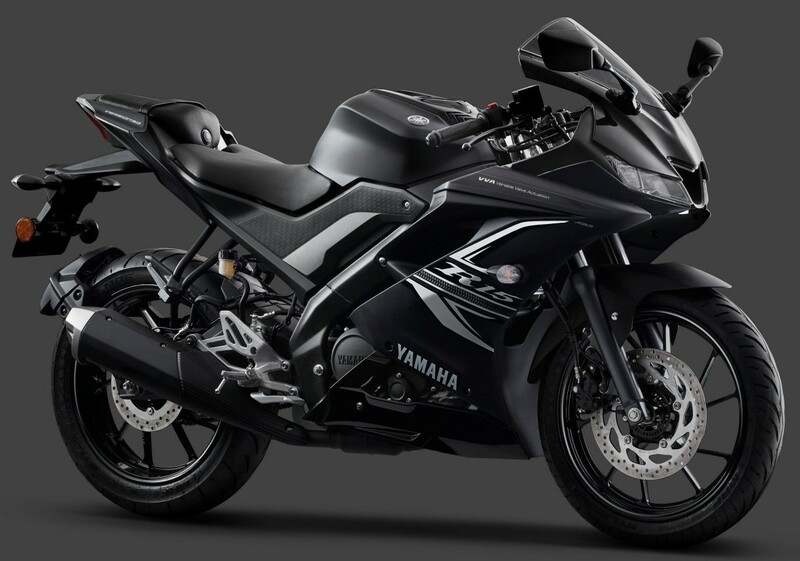 The most powerful bike of its segment, Yamaha R15 is good for 19.3 HP of maximum output. 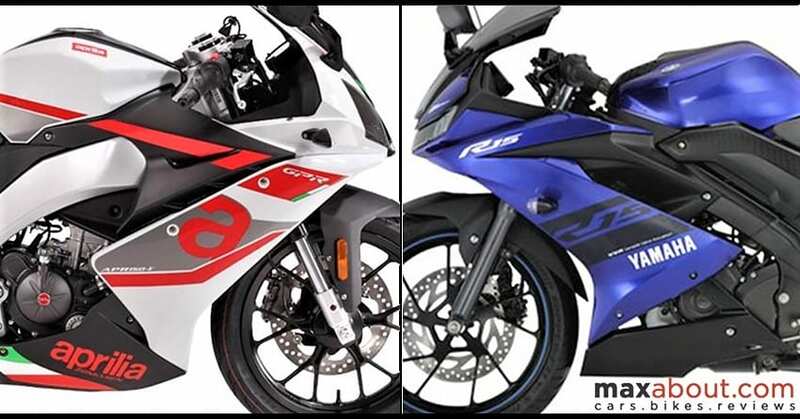 Here is a quick comparison between the R15 V3 and Aprilia GPR 150.